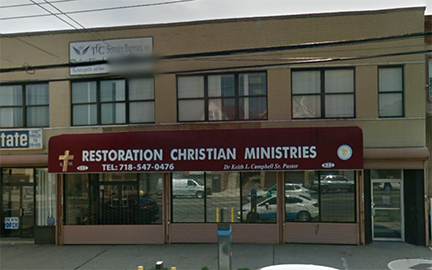 Restoration Christian Ministries is hosting a Back 2 School event on Friday, August 31 from 6:30pm – 9:00pm at 822 East 233 Street in the Bronx. Students of all age groups are welcomed to join us. During this time, we will be distributing school supplies catered to elementary, middle and high school students. In addition, we will have guest speakers address all students according to their grade level. Some of these speakers include professional College Counselors, Bankers, Police Officers and professionals in the Law and Medical fields. We will also have in attendance school teachers to answer any questions or concerns parents might have about their child’s education. We will begin with a selection from our worship team and a short talk with our Pastor, Dr. Keith L. Campbell. Snacks and Light Refreshments will be provided. Restoration Christian Ministries is looking for sponsors who can make small donations towards our Back 2 School Event on August 31. School supplies needed are pencils, pens, notebooks, folders, crayons, rulers, composition notebooks and erasers. For those who would like to volunteer, please call Restoration Christian Ministries.